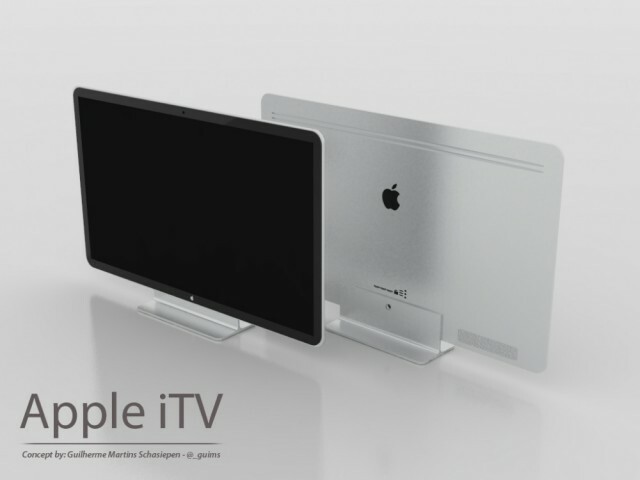 In addition to iPhone 5 and iPad 3 rumors, we now have a new category of Apple rumors: Apple iTV. It’s almost certain that Apple will be releasing their own TV set, and it could be coming sooner than we all think. According to Digitimes and alleged supply chain leaks, the Apple TV set will be arriving sometime in second or third quarter of 2012 and will come in 32 and 37 inch models. Digitimes goes on to say that the TV set will run on a Samsung chip, and feature a modified amorphous TFT LCD display made by Sharp. Instead of a form of set-top box (STB) like the Apple TV launched in 2006, Apple’s new products will be full TV sets, the sources added. Media reports in Korea also indicated that Samsung Electronics started producing chips for the iTVs in November 2011, while Sharp will produce the displays for the new TVs. The displays of the new iTV sets will focus on 32- and 37-inch sizes initially, noted sources in the supply chain. However, other sources also revealed that Apple may continue to launch its next-generation STB-like Apple TVs in 2012 as it has lowered the price of its current version of Apple TV listed on Amazon by 9% recently. With all of the reports and speculation traveling around, you have to remember that these are all still just rumors. We will keep you posted on any new rumors on this Apple TV set.